George Evans is sure Cinderford can make a return to the third tier this season as the Foresters went to the summit of National Two South last weekend. George Evans knows just how important the next few weeks are for Cinderford as he lists their upcoming opponents. “We have got London Irish Wild Geese this weekend who turned over Chinnor so it shows how dangerous they are,” says Evans. But despite a crucial month, Evans seems relaxed we we talk over the phone. A father to daughter Emily, the forward has another child on the way and he is also pleased to be back at Cinderford after a spell at Hartpury in 2015/16. The end of January marks his 31st birthday, but he is arguably enjoying his rugby more than ever. 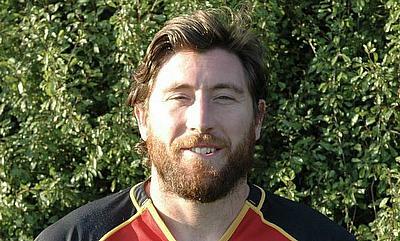 Evans played at Cinderford for nine years before his move to Hartpury, but after relocating back to Dockham Road at the beginning of last season, Evans is sure his side can make a return to National One. 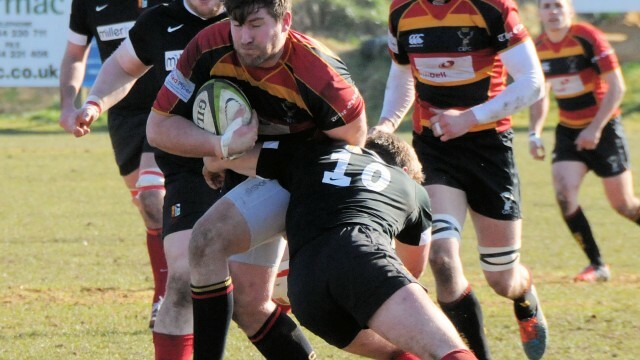 It is a point that Cinderford have highlighted over the last couple of months, culminating in the promotion contenders moving to the top of National Two South last weekend. “I re-joined the club because it was what I knew best”, says Evans who is the youngest member of Cinderford’s ‘200’ club having secured that honour three years ago. “I really enjoyed my season with Hartpury. I went to Hartpury just after having my first child. She was born at the beginning of that season and the way Hartpury trained was in the morning so I was able to spend time with Emily in the evenings. “The offer was there and I took it because it helped with family life and it was a change of scenery. It was nice to change things up. “At Hartpury, I was involved in just over 10 games due to injury and being unavailable in parts as well, but it was a great experience. “I think we finished second in National One and joining Hartpury was just the motivation I needed because it was nice to push myself a bit more. After today’s brilliant win…WE ARE TOP OF THE LEAGUE ??? And Evans is delighted to be a part of Cinderford’s plans. He has played his role in helping Paul Morris’ side to the summit and they currently sit four points clear after 17 rounds. “It has been a promising season,” he says. “Ever since pre-season, the attitude of the team has been fantastic. “That obviously puts you in good stead for the start of the National One season which was highlighted by our first results against Canterbury, where we won by 40 points and Henley Hawks where we scored 90 points. Evans knows the pressure is now on Cinderford after they secured their 11th straight victory against Henley Hawks last Saturday. 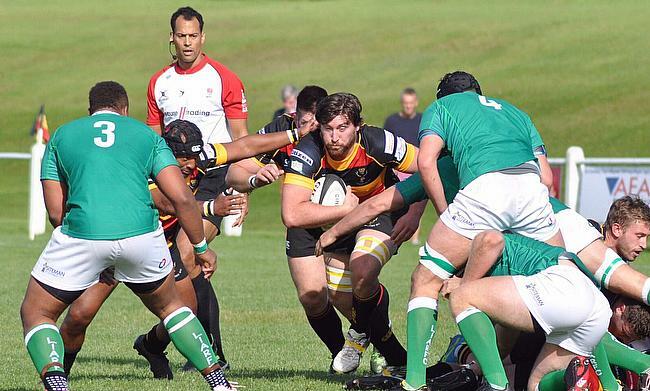 Following Chinnor’s first loss of the campaign against London Irish Wild Geese, the Foresters returned to the top of National Two South for the first time since October. “We have managed to come through difficult periods due to our mentality,” adds Evans who also puts Cinderford’s scintillating recent form down to the attitude of some of the young players and the work ethic of the side. Wild Geese’s shock win over Chinnor a week ago will make Cinderford more alert heading into their fixture with Lee Starling’s men this Saturday, as they continue to aim for a place back in National One. “The top two is ideally where we want to be, but we take each week as it comes to be honest,” says Evans. “Every Saturday seems to be a cup final, especially this month. However, we don’t want to put too much pressure on ourselves.